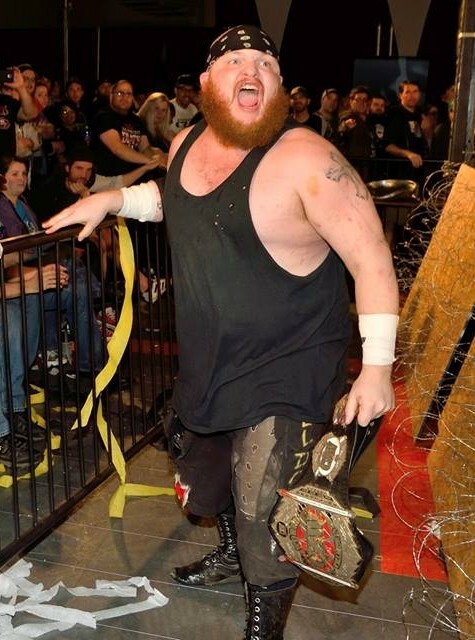 Combat Zone Wrestling Heavyweight Champion “The Bulldozer” Matt Tremont concluded his year of dominance when he successfully defended his title at CZW Cage of Death XVII. Cage of Death XVII was held Saturday, December 12th in Voorhees, New Jersey at the Flyers Skate Arena. Voorhees has been home to Cage of Death since 2013, following CZW’s departure from Philadelphia’s infamous ECW Arena, the most fabled wrestling venue in North America aside from New York City’s Madison Square Garden. As implied, the night was headlined by the Cage of Death match. 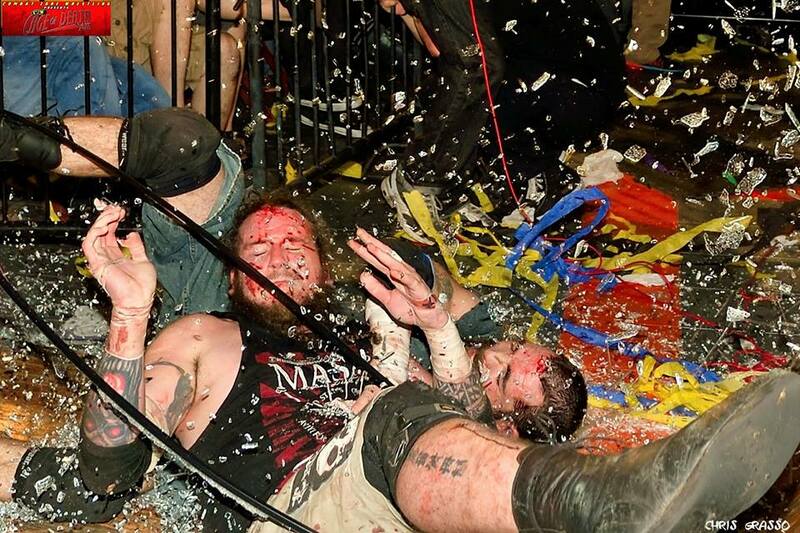 Held under CZW’s Ultraviolent rules, the Cage of Death redefines the classic cage match. Some cage panels are replaced with hazards such as barbed wire webs or panes of glass. The configuration is different every year, sometimes including a roof to create an impenetrable cage, or scaffolding to allow insane heights. A plethora of weapons is made available, allowing the competitors to inflict the pain and torture necessary to leave the match victorious. 2015 was the biggest year in Tremont’s career, defeating Connor Claxton in the finals of CZW Tournament of Death 14 in June. Two months later at CZW Retribution, Tremont won his first CZW Heavyweight Championship, beating BLK Jeez for the title. Outside of CZW, Tremont earned his second King of the Deathmatch title from IWA Mid-South, just two weeks after winning Tournament of Death. At Cage of Death, the odds were stacked against Tremont, having to defend against three of CZW’s top competitors – Tremont’s Ultraviolent contemporaries MASADA and Devon Moore, as well as CZW’s resident high-flyer, A.R. Fox. MASADA won both Tournament of Death X and XI, rightfully earning the nicknames “The Ultraviolent Beast” and “The International Deathmatch Superstar.” The former CZW Heavyweight Champion commented before the match that Tremont has had a great run, but “I’m going to get my belt back.” MASADA wants the CZW Heavyweight Championship “back home in CZW.” Tremont praised his “wars with [MASADA] over the last three or four years,” noting that MASADA is “hungry” for the CZW Heavyweight Championship. Moore won the last three of his four previous Cage of Death appearances – the first with Suicide Kings, then as a singles competitor, and finally with his current allies, Nation of Intoxication. Cage of Death XVII marks Fox’s first appearance in a main-event deathmatch, better known for his high-flying antics among CZW fans rather than the willingness to wrestle through thumbtacks and shattered light tubes like his opponents. MASADA properly initiated Fox early on in his first Cage of Death appearance, Powerbombing him through a pane of glass in the tilted wall of the cage. As Fox plummeted through the glass towards the floor, there was a table waiting below, meeting a similar fate as the glass. Meanwhile, Moore grated Tremont’s forehead with a tightly-wrapped barbed wire bat, leaving Tremont with an oozing six-inch gash. During a pin attempt from Fox on Moore following a Twist Suplex, MASADA broke the pin by jamming a fistful of his signature weapon, barbeque skewers, into Fox’s scalp. As Fox screamed in agony, Moore received the same treatment. Tremont left the arena, only to quickly return with a bundle of light tubes. Fearing the tubes, Fox made sure Tremont was their recipient. Tremont received Fox’s Lo Mein Pain maneuver, causing the light tubes to shatter under the champion’s back. With Fox back in the match and all three men down, he climbed the scaffold, flipping off the top to Swanton Bomb the champion. MASADA then sent Moore through his own pane of glass, this time with a MASADAmizer. With the match drawing to a close, the Cage of Death rookie Fox set up a table, with chairs and a pane of glass stacked on top. Placing the veteran Tremont under the table, Fox climbed the scaffold, looking to fly through it to win the match. Unfortunately for the exhausted Fox, Tremont made his way to the top as well, eventually Sidewalk Slamming Fox off the scaffold, with the two plummeting into an explosion of wood, glass and steel. Tremont scored a three-count to retain his CZW Heavyweight Championship, as well as having his hand held high as the Cage of Death XVII winner. Following the show, CZW owner DJ Hyde spoke of CZW’s ventures for 2016, primarily their growing partnership with Smash Wrestling in Toronto, Canada. CZW will be forgoing a January show in Voorhees to allow for the Smash VS CZW event in Toronto January 16. CZW fans will not be left out, as Smash VS CZW will be available live at streamczw.com. 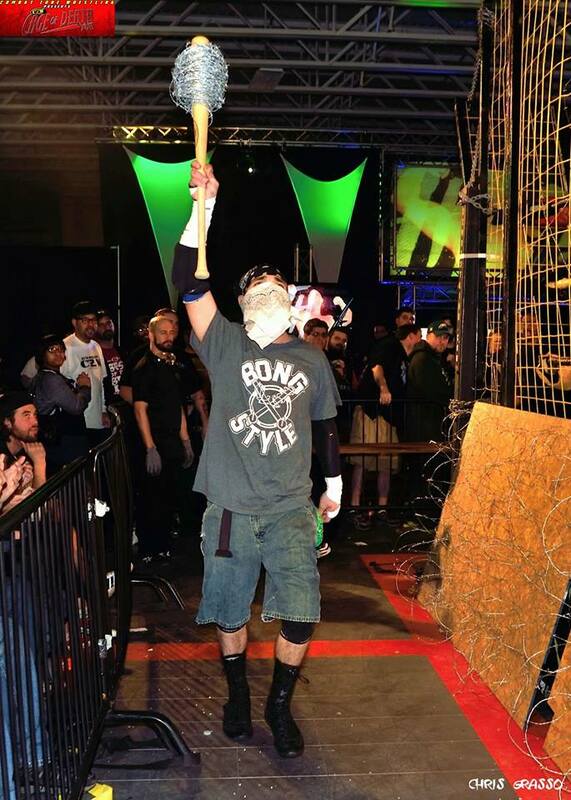 Hyde segued into CZW’s online subscription service, czwstudios.com, pushing the plethora of available content, including an array of previous CZW events, interviews and documentaries, as well as content from Women Superstars Uncensored, Hyde’s women’s wrestling promotion, Five Borough Wrestling, Legacy Wrestling, and Tidal Championship Wrestling. CZW will return to New Jersey with their anniversary show, CZW Seventeen on February 13, 2016 at Flyer Skate Arena, 601 Laurel Oak Rd, Voorhees Township, NJ 08043. The show will be prefaced by WSU 9th Anniversary. Tickets for both events are available at czwrestling.com and start at $20. Card subject to change. Both shows are also available live at streamczw.com. In the meantime, checkout all the exciting moments from CZW’s 16-year history at czwstudios.com. If you enjoyed the photography of Chris Grasso, follow him on Facebook under Chris Grasso, Twitter under @KingKameraman, or Instagram under Nachochezz.